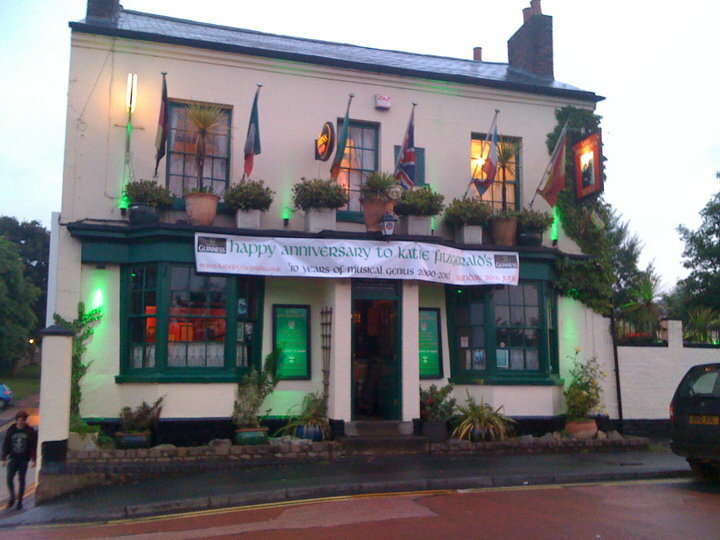 Katie Fitzgeralds has built a reputation for the best in live music 6 nights a week, a wonderful selection of drinks and the friendliest welcome in town. Originally a private house the building is over 200 years old and has been a pub since the 1830 Beer Act . In the 19th century it would have been home to foundry workers and boatmen and would have looked out across to the Stourbridge canal arm where Foster and Rastrick built the Stourbridge Lion - the first steam locomotive to run on rails in the USA. Originally known as the Golden Lion, it was taken on by Marnie Costello, who renamed it in honour of the Stourbridge Lion, a then largely forgotten historical achievement. Marnie's love of life, people and of course live music soon began to earn the Lion its well-deserved reputation as one of the friendliest & finest live music venues in the Black Country.